Yet Liam and Theo are still running around. It’s like the Hunt wants us to suffer. They fight the hunt to keep it busy – and manage to do this all episode. All episode. Seriously the most dangerous, skilled fighters in this entire town have lasted no more than 10 seconds but Baby Wolf and Traitor Who Should be Dead manage to fight them for a whole episode?! They actually engage in wrestling. And Theo sacrifices himself. Because of course he does. Don’t even pretend this character is good now because his murder dreams of his sister make him feel guilty. Memories involve near death experiences. Apparently. This is how memory works now. 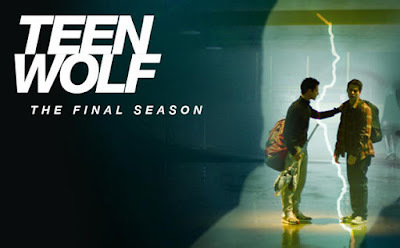 This leads us to a lot of powerful flashbacks to some of Teen Wolf’s past awesome emotional connections. Including that almost suicide scene. For the inevitable clip show episode it didn’t do so badly, it wasn’t that gratuitous and it was actually quite effective. They discover it’s less about memories and more about emotional connection. Doesn’t leave me much to write given we’ve spent several years recapping Teen Wolf, though. After going through Scott and Malia they confirm that Lydia is the one with the most profound bond to Stiles (hey Teen Wolf it’s bad enough you had Alison declare her eternal, SOLE love for Scott on her deathbed while Isaac and Kira watch – and now we get to see Malia tell Lydia how she had the most profound bond with Stiles? You’re cruel Teen Wolf so very cruel). Lydia opts out of near death by freezing because she’s human and sensible. Instead she opts for actual hypnotism. See, she’s the smart one. Also Malia attempting hypnotism is hilarious.